It’s winter which is always the time for comfort food. And right now after the holidays is it a time for quick comfort food that makes you feel warm all the way to your soul. Mac and cheese is one of those. This is pretty quick, you boil the water for the noodles, then once they go in you can start making the sauce. So not counting water boiling time, this takes about 8 minutes. Not bad for a feel-good happy gooey lunch or dinner. I also love to serve this with chili for a super happy healthy gooey comforting meal. Ohh yeah. 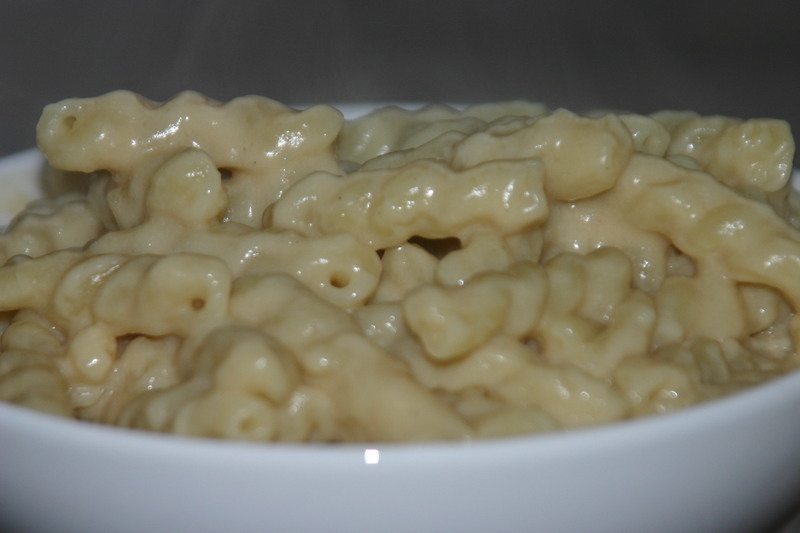 Did I mention this vegan mac and cheese will fill the void that was once filled with cheese? Ohh it will. Cook pasta, saving the water. In a separate pot melt the butter over med/low heat. Add milk, then quickly whisk in the flour until it is incorporated into the butter making a paste. while whisking slowly add noodle water. Whisk until smooth. Add broth powder, nutritional yeast, tahini, cream cheese, mustard, lemon juice, salt, and cheese if using, stir together. Heat until everything is warmed through. Added pasta and stir to combine. Note: The sauce should be thick, but you can add more noodle water or milk if it is too thick for your taste. I decided to make this tonight and it came out so good!! (which is saying a lot because I’m not quite the chef you are). I’m so impressed with the flavor! I added some cayenne because I was in the mood for something spicey. Thanks so much! One of my favorites! They taste great together!